This was our third EV car show in cooperation with National Drive Electric Week and had the fewest participating vehicles of all the shows. The poor vehicle turnout can be attributed to a several of factors, primary of which was another NDEW event 25 miles away. Another contributing factor was the local Nissan, Chevrolet dealers and Tesla were unable to bring cars. However, we feel it was the most successful in terms of attendee interest and participation. We had beautiful weather and a steady flow of attenders, all spending quality time in checking out the cars and questioning owners. Being on the East Coast and in Pennsylvania naturally limited the makes and models, but we did have a good mix to display. Chevrolet led the turnout with 2 Bolts and 2 Volts, and Tesla made scene with 2 Model S.' Making first time appearance was a Hyundai Sonata Plug-in, Volvo XC90, BMW 530e, and Toyota Prius Prime. The Ford Fusion Energi, Nissan Leaf, and Mitsubishi iMiEV all had single entries as well. 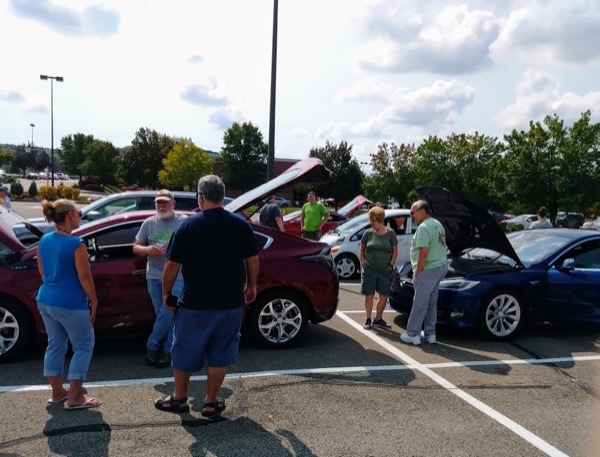 The 3rd annual Go Green Electric Car Show is presented in cooperation with the National Drive Electric Week (NDEW) being celebrated September 9 through 17. 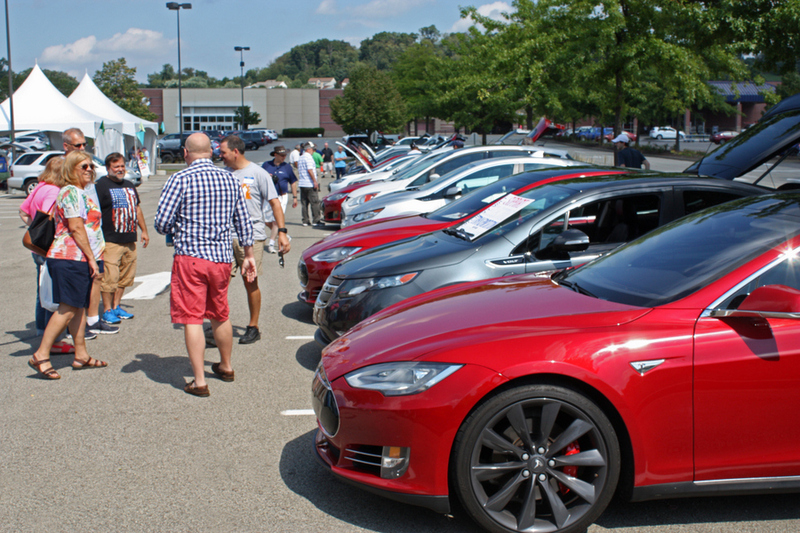 The Electric Car Show will take place September 16, in the lower lot of Kohl's Department Store in the Cranberry Commons shopping center from noon till 5pm. The show is open to all owners, dealers, and manufacturers of plug-in BEV (Battery Electric Vehicles), and PHEV (Plug-in Hybrid Electric Vehicles) including cars, trucks, buses, motorcycles, bikes, tractors, boats, go-carts, and any vehicle that plugs into the electrical grid or solar power supply. Click the blue button at the top of this page to register, and you'll be entered to win a chance at a $250 gift card! Registered attendees report 125,665 electric miles driven.